From a 2-day Latin Jazz Festival to a workshop on Alzheimer research, here’s a look at the week ahead. 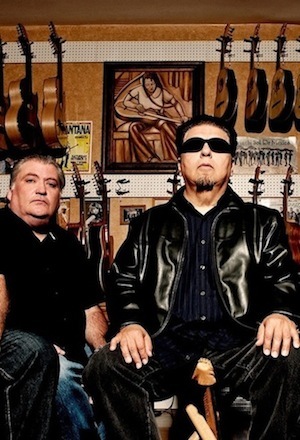 Los Coyotes – (led by Cesar Rosas and David Hidlago of Los Lobos) will close out the festival, Sunday, Sept. 24 at 5:30 p.m. Featured Event: Saturday, Sept. 23 & Sunday, Sept. 24 –Councilman Gil Cedillo’s 4th Annual Latin Jazz & Music Festival at Sycamore Grove Park (4702 N. Figueroa, LA 90042). Free Admission. Two days of live music: (Sat) Joe Batann, Susie Hansen Latin Band, Jimmy Imperial, Soul Sauce, Plaza de la Raza Youth Ensemble, (Sun) Hola Youth Ensemble, Cold Duck, Arturo O’Farrill Quartet, & Lobos Coyotes Blues Band. For more info, visit www.GilCedillo.com. 7-8:30pm–Eagle Rock Disaster Preparedness Neighborhood Meeting at Eagle Rock City Hall. Help create Eagle Rock’s disaster response plans & build volunteer neighborhood response teams ready to take action when a disaster strikes. ER City Hall is located at 20135 Colorado Blvd, LA 90041. Register at Eventbrite.com: https://cert2-eaglerockmeeting. 3pm–Workshop on Latest Alzheimer Research at the Montebello Library. Hear from researchers about the latest findings related to causes, symptoms, available and future treatments for Alzheimer’s disease. Presented by Alzheimer’s Greater Los Angeles. No charge. Library is located at 15550 W. Beverly Blvd., Montebello 90640. For more info, call (323) 722-6551. 8am–Ascot Hills Challenge – 5K Run/Walk in El Sereno. Finisher medal, t-shirt, food, entertainment & more. Location: Ascot Hills Park, 4371 Multnonah St., LA 90032. Register at AscotHills.com. 4-7pm–Eagle Neighborhood Picnic and Movie Night at Yosemite Park: 1840 Yosemite Dr. LA 90041. “Beauty and the Beast” screens at 7:30pm. Free admission. Bouncy house& kids activities. Bring a blanket or chair. Presented by Councilman Jose Huizar & ERNC. For more info, call (323) 254-5295.